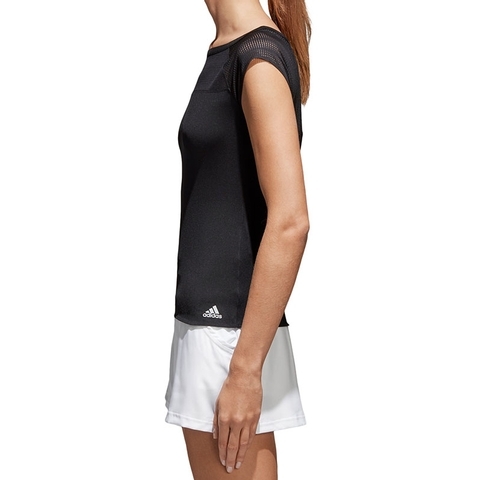 Stay ahead of the warm weather and your opponent in this women's tennis t-shirt. Climacool takes on the heat with breathable and quick-drying fabrics to keep you cool and dry, while mesh inserts on the shoulders provide targeted ventilation. 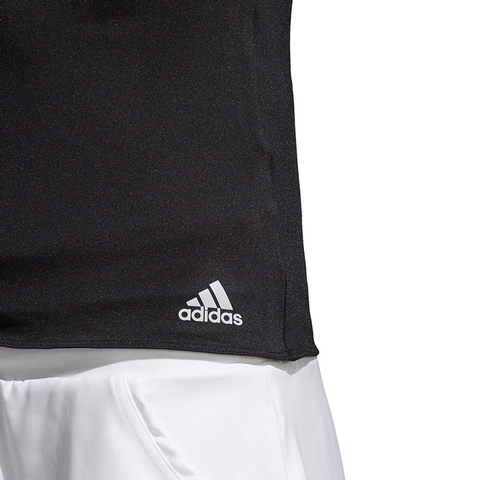 This slim-fit tee has raglan sleeves and a boatneck. Boatneck. Raglan sleeves. 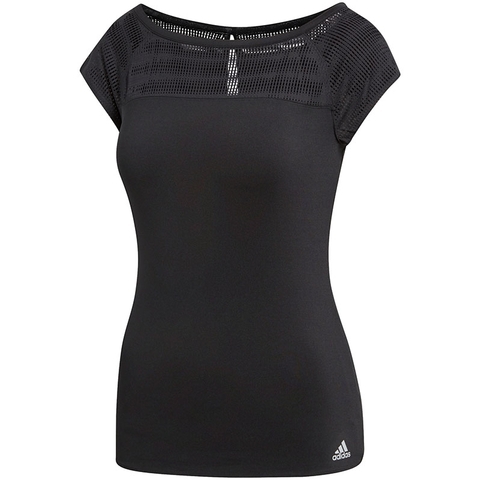 Breathable warp knit mesh inserts on shoulders, chest and upper back. Keyhole opening on upper back.